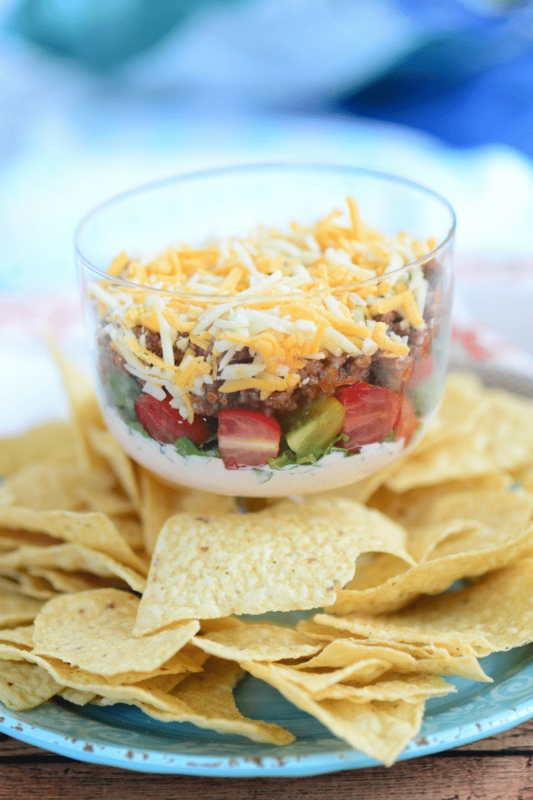 Keep things fun and simple at the dinner table with this Easy Taco Dip! This makes for a solid go-to recipe for quick snacks and lunches the whole family can enjoy on any day of the week. What is that tool you are using in the video? I can’t tell you how many messages and emails I get on the daily asking that very question! In short, you can grab it on Amazon and have it delivered to your door! Two years ago I use to sell Pampered Chef, so it is there Mix N Chop. Because sales dropped and I couldn’t integrate Pampered Chef with the website like I wanted, I decided to stop selling and focus on where the bulk of my income is! Hey, I love giving ya’ll free recipes, but, it doesn’t pay the bills! 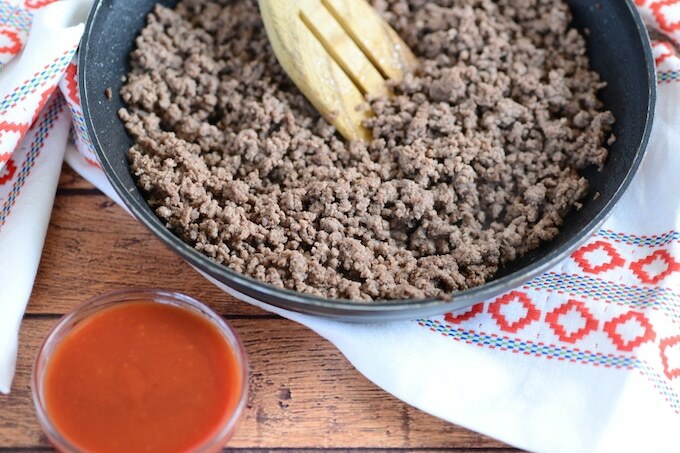 This recipe for Taco Dip is SO easy, you’ll be done in just a few minutes! Apart from cooking the meat for this recipe, it’s all pretty much a matter of assembling it. 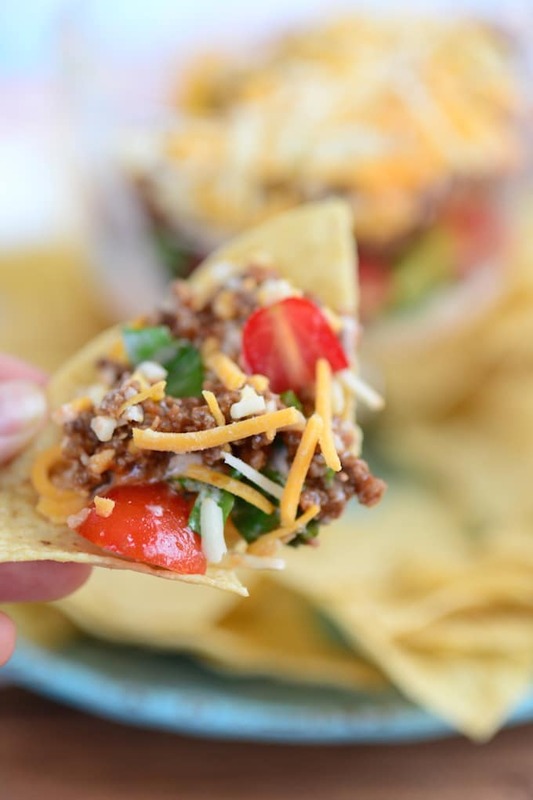 Get your kids involved in assembling this dip! This dip makes any occasion more fun because it’s finger food. You can make it more fun by getting more creative with the dip’s presentation like creating a sour cream web on top for Halloween or assembling the cheese, olives, and tomatoes to look like the flag for the 4th of July. Your kids will surely love making this with you in the kitchen. 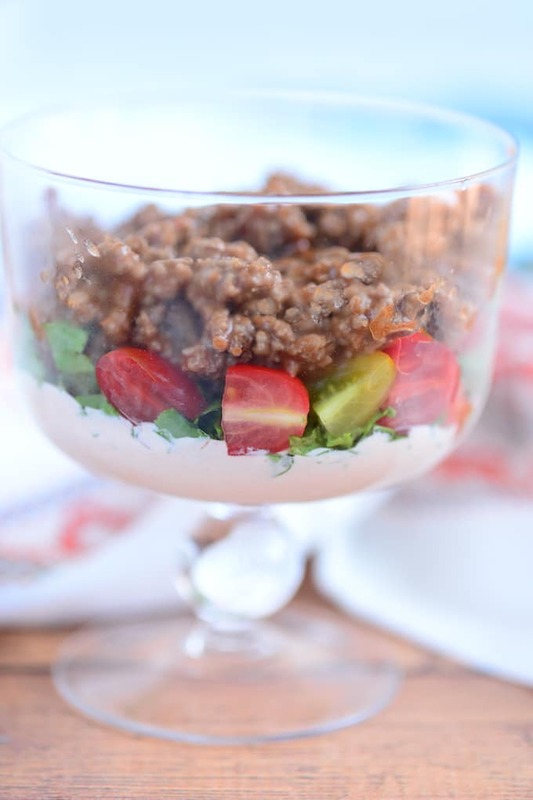 Layering the freshly cut veggies and beef in a cup serve as a visual treat on your dinner table. The tortilla chips stay crisp by being served separately on a platter. 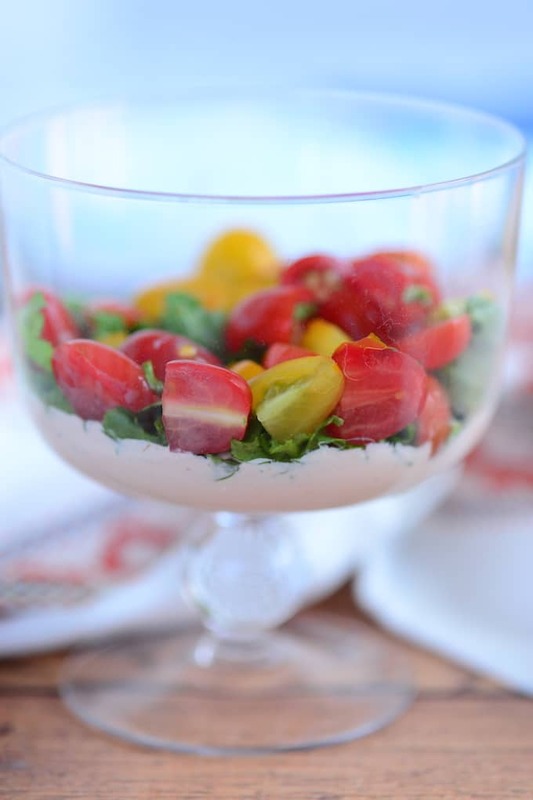 Make a large bowl of this dip and your family and friends can just dig in! 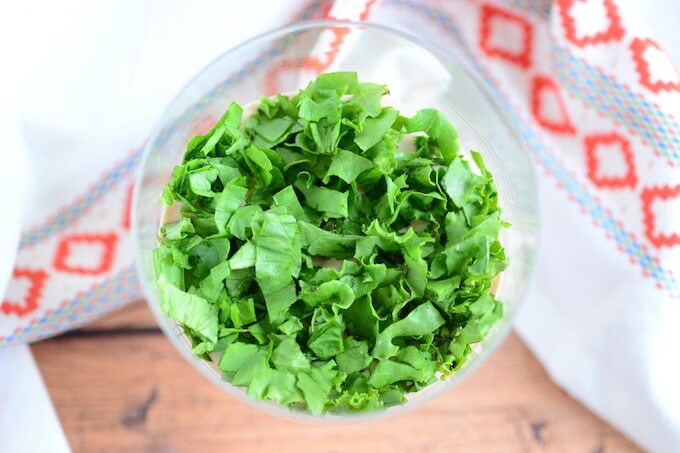 A big bowl of this dip will be awesome for any buffet table at a party too! For an extra pop of color and flavor, why not add some black olives to your dip? Add some extra nutrition by putting in some avocado in one of the layers. Mm-mmm! Make things sweet by adding some corn in the mix, too! Turn up the heat with some jalapenos and bell peppers! It adds more color and spices up the dip nicely. Pack the dip with some tortilla chips for lunch at school or work. Now that’s a fun lunch! This dip is best served when freshly made. The combination of warm beef and cool vegetables and cheese on crunchy tortilla chips will be delicious! Keep the tortillas crunchy by leaving them separated from the dip. 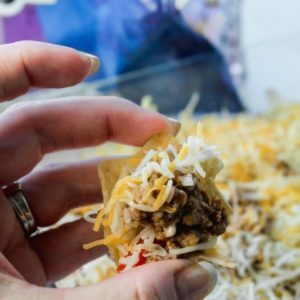 You wouldn’t want soggy tortilla chips at your party, would you? Add in 1/3 c water to skillet along with hamburger. In a large bowl mix together 4 oz. (half of an 8 oz. sour cream container) along with the remaining bottle of taco sauce. Layer each serving bowl with lettuce, tomato, hamburger, and cheese. Serve with your favorite tortilla style chips. Most importantly, enjoy this Taco Salad Dip with friends and family! 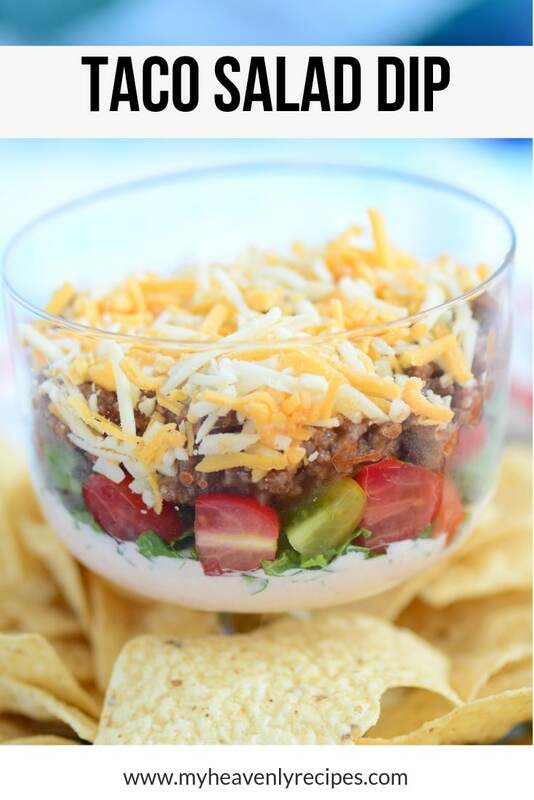 Taco Salad Dip is a quick and easy appetizer recipe that is perfect to share with friends and family! In a large bowl mix together 4 oz. (half of a 8 oz. 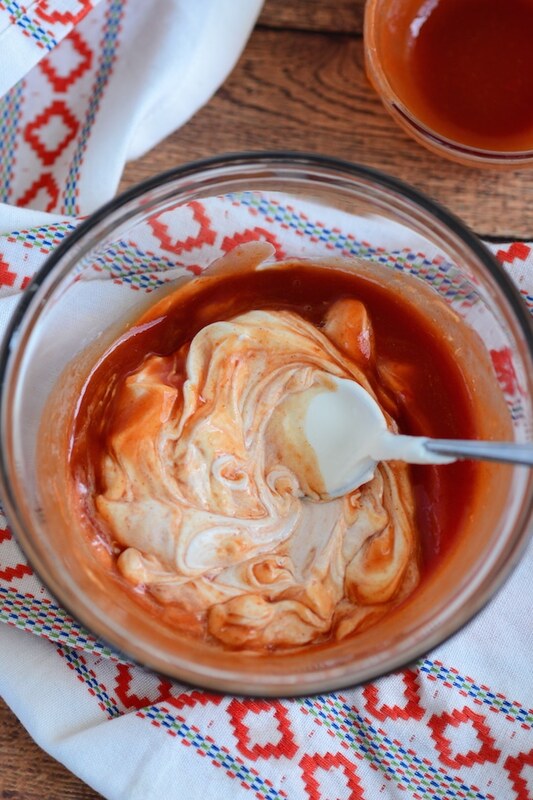 sour cream container) along with remaining bottle of taco sauce. Spread sour cream mixture into the bottom of a 8x8 or 9x9 pan. Next layer with lettuce, tomato, hamburger and cheese. Can you serve this cold? I’m making this today for a party but it’s an hour away. So I was wondering of it is ok to serve cold? Yes! How did it go?